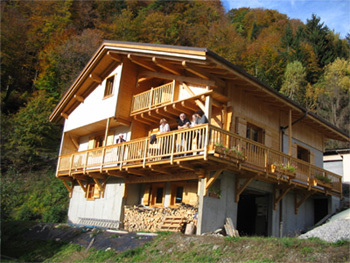 A welcoming chalet in a superb landscape , in the heart of the Beaufortain area in France. In their cosy and typical Beaufortain chalet Denise and Michel have made two big bedrooms available for you . They will offer you a perfect setting for rest, relaxation and recreation ! Denise and Michel love the calm , the beauty and the splendour of this highly protected area and will be still on hand to welcome and help you to make the most of your time.